A mid-year price cut and a strong lineup of software titles gave Sony's PlayStation 3 a record holiday season, the company said Wednesday. Sales of the console in the last five weeks of the year totaled 3.8 million units worldwide, a 76 percent jump on 2008. "Last holiday season was the most successful holiday season in the history of PlayStation 3," said Kaz Hirai, CEO of Sony Computer Entertainment, during a news conference at the Consumer Electronics Show in Las Vegas. Sales were helped by a mid-August price cut from around US$400 to $300 and the launch in September of a more compact version of the console but the recent launch of several hot software titles likely did more to drive holiday sales. "We've seen many, many great titles launched in every part of the world for PlayStation 3 such as Assassin's Creed 2, Call of Duty, Modern Warfare 2, and of course Uncharted 2 Among Thieves in North America and Europe and Final Fantasy XIII in Japan," Hirai said. 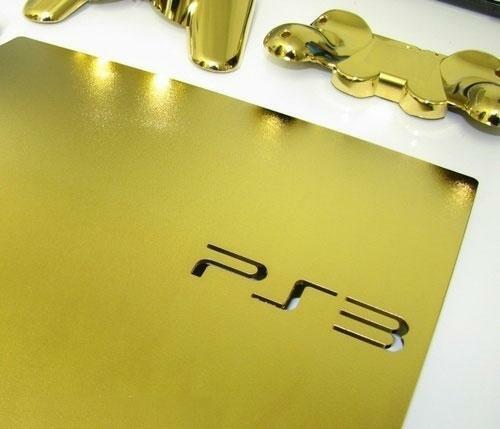 Sony is expecting to sell 13 million PlayStation 3 consoles in the financial year from April 2009 to March 2010. In the prior year sales totaled 10.1 million units. Hand-in-hand with the rise in sales was a jump in PlayStation Network accounts, which now total 38 million worldwide. The PlayStation Network allows users to buy and download software via the Internet and is being expanded to include video on-demand and movie rental downloads. Consumers buying future Internet-connected Sony products, such as Bravia TVs and Vaio laptops, will be able to use the same IDs to access video download services through those devices. Sales of the PlayStation 3 are likely to get a boost later this year when Sony offers a firmware upgrade that will make it possible to play 3D games and Blu-ray Disc titles through the console. The PlayStation 3's secondary role as a Blu-ray Disc player was recognized earlier this week when Sony said it would offer in Japan a special edition of the console bundled with the Michael Jackson documentary "This Is It." Until now Sony's special-edition consoles have been tied only to new video games. Some of the hottest titles due later in 2010 include God of War 3, Gran Turismo 5, MAG, Heavy Rain and ModNation Racers.